Carson is not known as a bright spark, or even a cheap, battery powered tea light, but I have to trust he can do this. I have no choice. I really like Carson, he looks so much like his mum but he has this total air of goofiness about him, he's in next Thursday's update and I need to say now, his clothing choices are entirely his own!!! I am looking forward to him taking over the story, much as I love Farrah it will be good to write for someone else for a change and I am hoping his goofiness will shine through! With that in mind, what I think will be, two weeks on Thursday's update, is heavily Summer influenced and is a completely different style (I needed a break! lol) and it is either going to WoW or crash and burn! I have laughed to myself a couple of times writing it and I like to think that is a good sign, at least for people with my sense of humour, anyway! Latest update. A little interlude from Carson's point of view. Carson's point of view certainly is ... um ... unique? Ok people here's the update. A bit of a change of style (i'll admit, I was getting bored) just a little something silly. Norality will resume in the next update! Good reading. Your story cully-c, is very entertaining. Today's update peeps! Tobias gets a moment in the spotlight! Hope you are enjoying the voyage. @cully_c Hi! I am trying to get caught up on everything. RL has been keeping me away from all my sim stories and my game. I love your style of story telling and I am looking forward to reading as soon as I can Thank you for sharing your updates with us here! Hope you are all enjoying the read so far. I've got a new lease of life with the storytelling with some new faces in upcoming episodes. 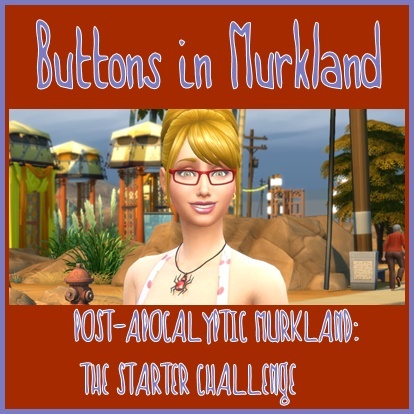 I am well up on the chapters now, loads written and awaiting release, this is to give me time to compose my entry for the Monthly Short Story Challenge, they are a lot of fun if you are into story telling. I have had one other attempt, that was my story A Fine Time to Lose. But fear not Sim-Illionaire fans That is the point of the scheduled relases, so I don't leave uz all hanging. And prepare for a little extra in upcoming weeks (months?) dun dun duuuuuuunnnnnnnnnnn! It's the start of my second generation! Yay!! Carson did it! Yay!! You go boy!